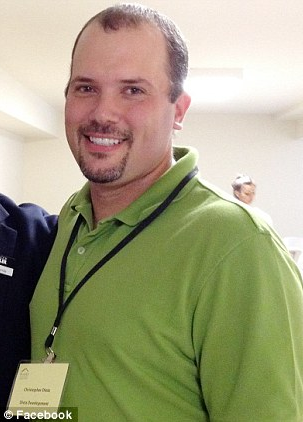 Christopher Dietz, a Virginia contractor, is suing over a bad Yelp review. Here’s one solution for businesses trying to fend off bad Yelp reviews: Sue! That’s exactly what Christopher Dietz did when when a Yelper accused his Virginia remodeling company of stealing jewelry, shoddy work and damaging her house. Dietz decided to stand up against what he says is a false review. The First Amendment protects free speech, but not libel, slander and false defamatory speech. At a preliminary hearing a judge agreed with Dietz and ordered the author of the review, Jane Perez, to change part of her review. The case is still pending. 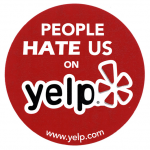 It might make Yelp reviewers think twice before slamming a business with a negative review. 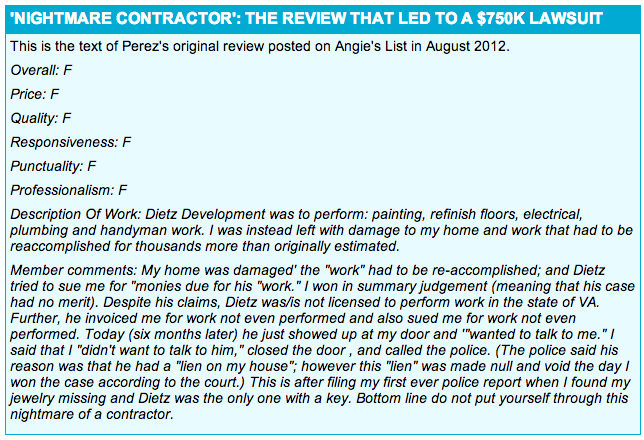 Perez was hit with the $750,000 lawsuit by Dietz Development after she wrote complaints about his workers on Yelp and Angie’s List. 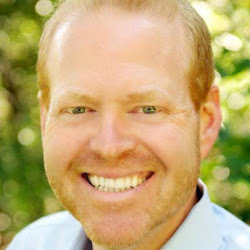 Dietz says he has lost over $300,000 in jobs because of the bad Yelp review. Dietz says he thinks there is nothing wrong with writing a negative review as long as it’s true. Free speech advocates have expressed concern over the lawsuit. Perez is just the latest online reviewer to find herself in court over negative posts online. 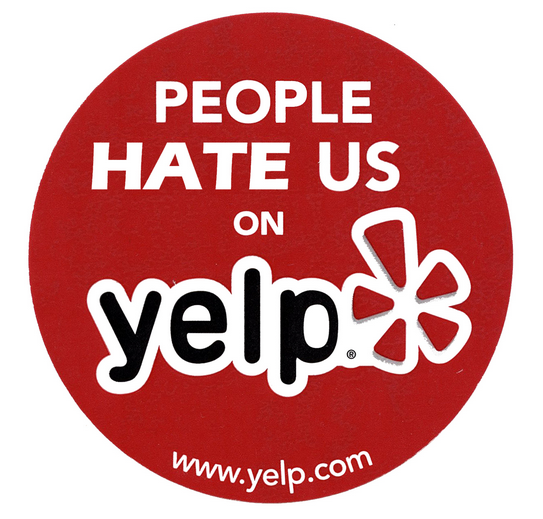 In 2009, a San Francisco chiropractor sued a man who posted a Yelp review accusing the business of over-charging him. In 2010, a Chicago plastic surgeon sued three women after they him of giving them disfigured breasts during surgery. Read more on this story in The Washington Post and the Daily Mail. 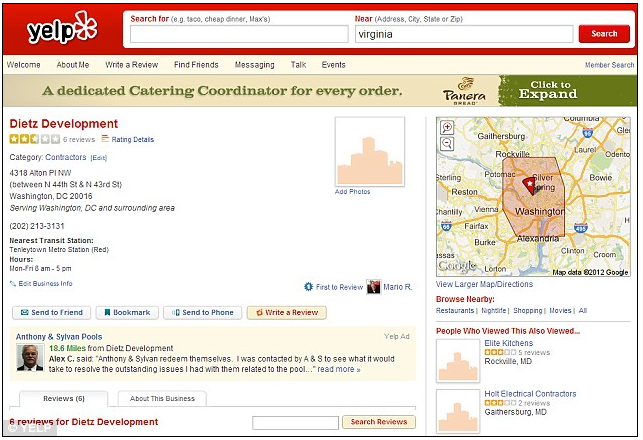 Dietz Development’s bad Yelp reviews leave it with only 2-1/2 stars.